Kigali ([ciɡɑlí]), with a population of more than 1 million (2012), is the capital and largest city of Rwanda. It is near the nation's geographic centre. The city has been Rwanda's economic, cultural, and transport hub since it became capital at independence in 1962. The city hosts the main residence and offices of the President of Rwanda and government ministries. The city is with the province of Kigali City, which was enlarged in January 2006, as part of local government reorganisation in the country. Kigali's city limits covers the whole province, it is consolidated. The city's urban area covers about 70% of the municipal boundaries. Kigali was founded in 1907 by Dr. Richard Kandt under German colonial rule, but did not become the capital until Rwandan independence in 1962. The traditional capital was the seat of the mwami (Kings Yuhi V, Mutara III and Kigeli IV) in Nyanza, while the colonial seat of power was in Butare, then known as Astrida. Butare was initially the leading contender to be the capital of the new independent nation, but Kigali was chosen because of its more central location. Since then the city has grown very quickly and is now the major political, economic and cultural centre of Rwanda. Beginning on April 6, 1994, Kigali was the scene of the Rwandan Genocide – the slaughter of approximately one million Tutsi by Hutu militias (Interahamwe), and some members of the Rwandan army. There was fierce fighting between the army (mostly Hutu) and Tutsi-dominated Rwandan Patriotic Front. Although damaged, the city's structure has recovered. The city is built in hilly country, sprawling across about four ridges and the valleys in between. The city centre is on one of these ridges, with the main government area on another. The tops of the ridges have an average elevation of 1,600 metres or 5,250 feet, while the valleys are around 1,300 metres or 4,270 feet. The bigger houses and office buildings tend to be on the tops of the ridges, while the poorer people live in the valleys. The city is ringed most of the way round by higher hills, with some suburban sprawl rising up these. The highest of these is Mt. Kigali, with an elevation of 1,850 m (6,070 ft). Kigali possesses a tropical savanna climate with a pronounced dry season, the Köppen Climate Classification subtype being Aw. Kigali is cooler throughout the year than in most other cities around the Equator due to its elevation, which tempers the heat and results in warm rather than hot days and mild rather than uncomfortably warm nights. Kigali houses several memorials, museums, and centers dedicated to the Rwandan Genocide, including the Kigali Genocide Memorial Centre. Other museums include the Kandt House Museum of Natural History. Urugwiro is the official residence of the President of Rwanda. It constitutes an entire village within the Kacyiru district of Kigali. The Mille Collines in the Kiyovu area. This hotel became a refugee centre during the genocide, as famously depicted in the film Hotel Rwanda. It is also the setting for the famous novel Un dimanche à la piscine à Kigali, by Quebecer Gil Courtemanche, and its movie adaptation Un dimanche à Kigali. The Kigali Serena Hotel, formerly known as the InterContinental Kigali. Formerly a Belgian-owned hotel known as Hotel Diplomates, the hotel was briefly portrayed in the second half of Hotel Rwanda. It was later bought by the InterContinental Hotels group and remodeled in 2003. Kigali Convention Centre, which was launched on July 8, 2016. Mines for tin ore (cassiterite) have operated nearby, and the city built a smelting plant in the 1980s. 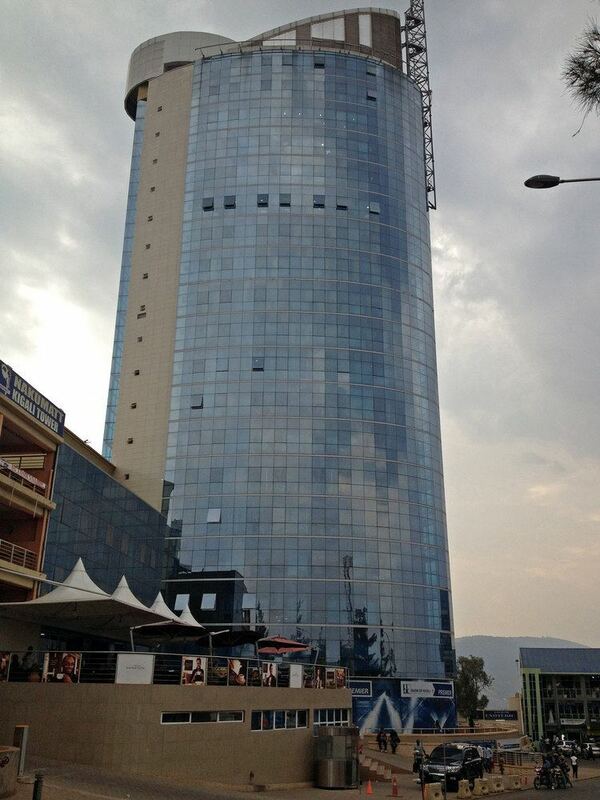 Business in Rwanda has been growing in the 21st century, and many new buildings have arisen across the city, including the BCDI Tower, Centenary House, Kigali City Tower and Kigali Convention Centre. Tourism provides important input into the economy. Kigali is a province-level city governed by a city council who appoints an executive committee to run the day-to-day operations of the city. The executive committee consists of a mayor and two deputies. 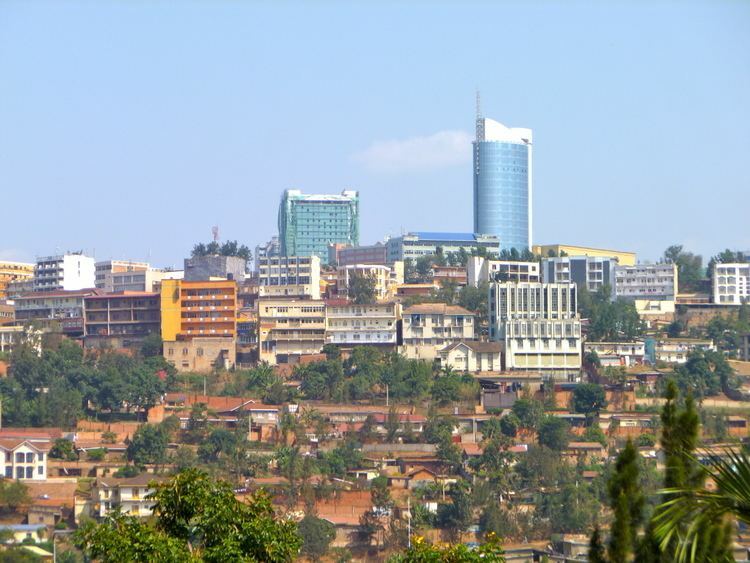 The city is split into three administrative districts: Gasabo, Kicukiro, and Nyarugenge. It contained parts of the former province of Kigali Rural. The administrative head office of the University of Rwanda (UR) is in Kigali. The UR College of Science and Technology campus is in the Southern part of Kigali, at Avenue de l'Armee. (The main academic campus of University of Rwanda is in Butare, the former National University of Rwanda.) 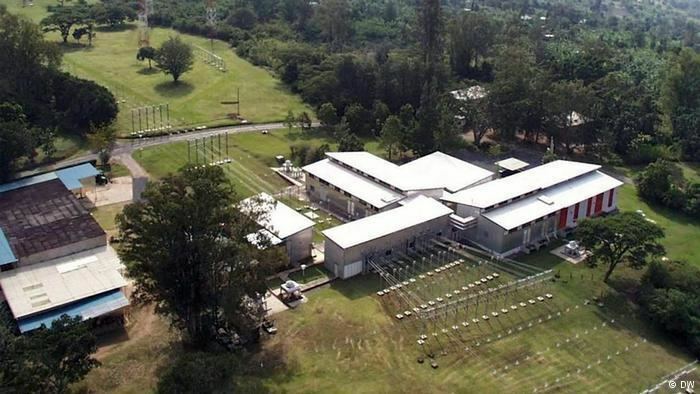 Carnegie Mellon University's The College of Engineering has an international campus located in Kigali. Kigali Independent University has a Kigali campus. Lycée de Kigali is the second-largest secondary school in Rwanda, after the Groupe Scolaire in Butare. Green Hills Academy, in the upscale suburb of Nyarutarama, is a top private school, offering IB at A level, and the Cambridge International Program at O level. It is a PASCH partner school offering German. It has a 50/50 English-French curriculum as well. École Antoine de Saint-Exupéry de Kigali, the French school, is in Kigali. École Belge de Kigali, the Belgian school, is in Kigali. International School of Kigali is also in Kigali. The Earth School -the International Montessori School of Rwanda- is a private preschool and elementary program serving children ages 2–12. The city is a stronghold for basketball as traditionally, roughly half of the teams of Rwanda's National Basketball League are based there, including 2016 Champion Patriots BBC, record holding Champion Espoir BBC and others, including APR basketball club ,IPRC-Kigali and Cercle Sportif de Kigali (CSK). The city has an international airport, Kigali International Airport, with passenger flights to (among others) Amsterdam, Brussels, Nairobi, Entebbe, Johannesburg, and Istanbul. The airport is somewhat limited by its location on the top of a hill, and a brand new one is being considered in the Nyamata area, some 40 km (25 mi) from Kigali. Onatracom Express - a Rwandan government service using quite basic buses, running between Kigali and Kampala. Yahoo Car Express - A minibus service running between Kigali and Bujumbura in Burundi. Kampala Coach Ltd, which runs services to Kampala (8 hours), Nairobi in Kenya (24 hours), Dar es Salaam in Tanzania (36 hours) and Mombasa in Kenya (32 hours). Kigali is the hub of the Rwanda transport network, with 15 minutes express bus routes to all major towns in the country. The major nationwide companies are Rftc, Stella, Omega, Virunga, Impala and Onatracom, all offers a big bus service, while Volcano Express (to Butare), Virunga Express and Onatracom (to Musanze), Muhabura Express (to Ruhengeri and Rubavu) serve specific destinations and follow a set schedule. There are also taxi minibus services (matatus) leaving from Kigali, which also go through to the major towns, but some of them stop frequently along the route to pick people up or drop them off. Public transport within Kigali is exclusively by taxi minibus (matatu) routes, connecting the main hubs of Mu (Mujyi) in the city centre, Nyabugogo, Kacyiru, Kimironko and Remera. Similar to the national taxi minibuses, these services wait to fill up before setting off from the terminus, then pick up and drop off frequently en route. Kigali has many taxis (known as 'special hire' or 'taxi voiture'), which are generally painted white with an orange stripe down the side. There are also motorbike taxis ('taxi moto'), which offer a service similar to a taxi, but for lower prices, typically in the range 300-1000 FRW. Under a master plan for 2040, Kigali will be decentralized, with business, shopping, and leisure districts, and suburbs. The plan calls for skyscrapers, arching pedestrian walkways and green spaces to be built, alongside amenities such as fountains and a wetlands conservation area. In addition, there will be an effective public transportation network. However, among the most pressing problems is affordable housing for the majority of the city's population, and a number of schemes are under consideration. The city's population of about 1.2 million is expected to triple by that time.